In 2008 Ben Gold and Senadee starting an assault on the trance scene which would ultimately launch both of their prestigious careers. Ben Gold's rise through the DJ and production ranks has been meteroic whilst Sendadee laid his mark as one of the finest vocalists out there ultimately working with everyone from Aly and Fila through to Chicane, BT and John Askew to name but a few. Fast forward to 2016 and we have unleashed one of the most exciting new talents on the scene, DJ T.H. 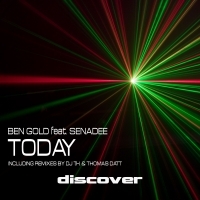 on to one of the Ben Gold and Senadee classics, "Today". He has more than done the original justice with his respectful interpretation and includes a dub for those moments when instrumentals rule the roost. 'Today' is available now from Beatport and iTunes.